The much anticipated Coal Drops Yard is finally open and we went to explore this week. Beautifully curated high end retail in the arches of this restored Victorian building, it is definitely worth a visit and is a great regeneration of this historic space to compliment the area and it’s creative community. Selfridges have launched the UK’s first free & permanent wooden skate bowl within their designer street wear department taking experiential retail to a new level. The enclosed wooden structure overlooks the corner of Regent & Duke Street from the first floor windows. Shape Shifters at the Hayward Gallery looks at Optical minimalism through a variety of sculptures spanning 50 years and challenges our perception of how we see an object & what this does to its surrounding landscape. We loved Anish Kapoor’s Sky Mirror Blue that he describes as ‘a sort of metaphysical looking’ rather than looking at the artwork, we find ourselves looking through it and beyond it. On a recent client market visit we took the opportunity to visit the Bijenkorf in Rotterdam and can appreciate exactly why it is hailed the best department store in the Netherlands! Clever use of materials, colour and space to curate product produce beautiful visual merchandising solutions throughout the store. 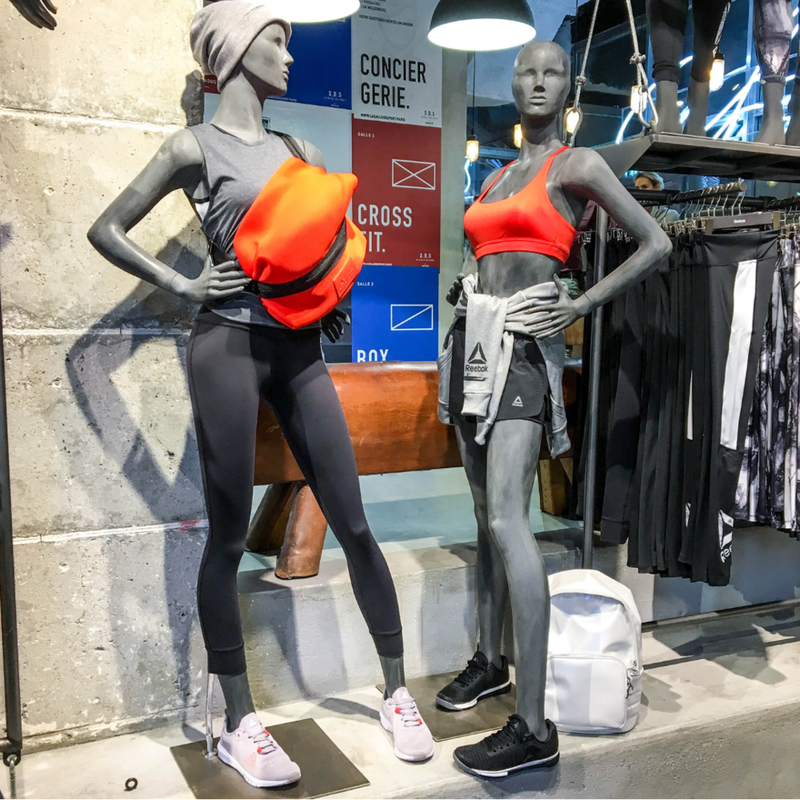 We have loved working in the Reebok store within La Salle de Sport in Paris as part of our weekly VM support for the brand. We have really enjoyed merchandising the FW18 collection regularly and monitoring first hand how our input has increased footfall and sales. Head here to find out more about our VM work.